LP comes with download code to download free MP3s of the album. CD comes with enhanced content featuring music videos and bonus MP3s. The LP & CD from Ceremony is finally here! 10 brilliant pop songs super charged with amplification and distortion to make an incredible mix. Before A Place To Bury Strangers, there was Skywave, a three piece noise pop band from Fredericksburg, Virgina. When Ollie left to move to NYC, Paul and John remained and reorganized as Ceremony. While there will be undeniable comparisons made to APTBS (they still remain friends and share an affinity for loud guitars), Ceremony employ a songcraft far more focused on making catchy pop tunes than blowing out speakers and eardrums. The LP comes with a special download code to download MP3s of the entire LP while the CD comes with bonus enhanced content of four music videos. 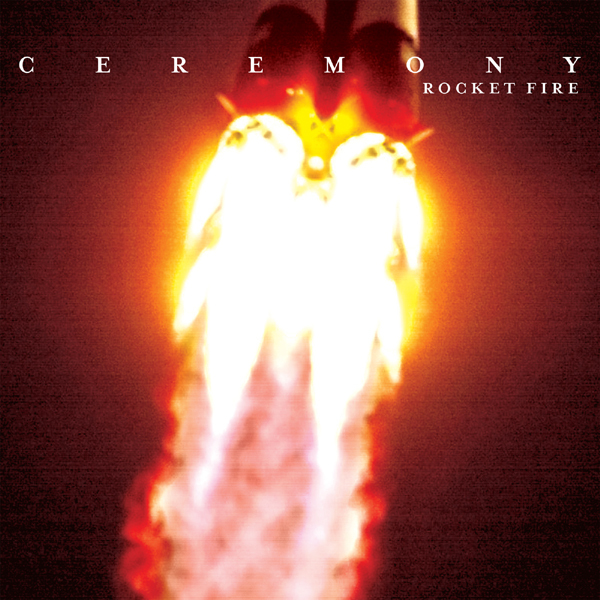 "The new Ceremony record that I speculatively mentioned back in early March is finally really, truly out! True to my hopes and suspicions, it's flat out fantastic. While comparisons could easily be made to A Place To Bury Strangers, anyone with a keen ear for melody would have to agree that Ceremony lends themselves much more to Skywave's pop sensibilities than that of APTBS. That said, the noise is definitely coming before the pop on Rocket Fire - and to great success, too! Songs like "Stars Fall" and "Marianne" are total noisepop gems worthy of endless repeated listens and "Someday" sounds like it could have been a classic Factory Records single. The CD version of the record is out now on Killer Pimp, but the vinyl version won't be out until May 25th. Personally I'd say it's worth the wait. Tide yourself over by listening to "Marianne"." - Skatterbrain!